I like tea but what I really like is hot coco. 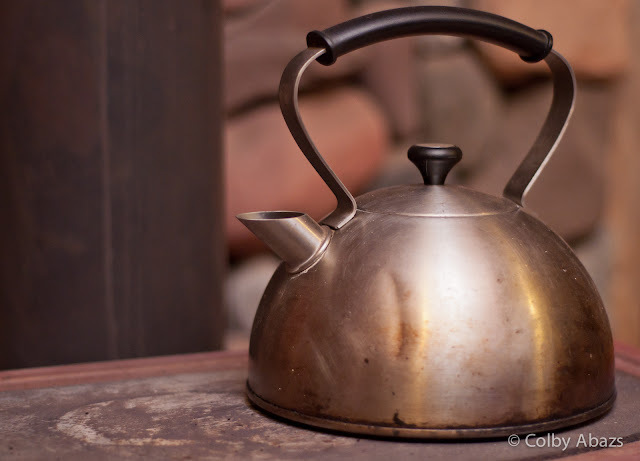 I decided to photograph this teapot even though I have done so on multiple occasions before because it was in a new environment and I wanted to try out some DIY(Do It Yourself) flash modifiers. I really like this photograph of it because it shows the teapot in good light and has a great background. You can see the stovetop, chimney pipe and stone wall all things that for me are integral parts of the hot coco experience.